If you are too shy to open your mouth when you are standing close to other people because of bad breath, gingivitis and/or gum disease, then maybe it is time for you to consider using the best mouthwash for gingivitis. Luckily for you there are a lot of products on the market today to treat these conditions, but on the flip side with so many options available it is sometimes difficult to select the best mouth wash brand for your specific needs. Fear not though, here is a list of the best mouthwash for gum diseases that you have at your disposal so you no longer have to keep your mouth shut or put a hand in front of your mouth when in company. I should also note that, using a mouth wash and a good water flosser will yield the best results for your gum problems. In this day and age where a lot of people prefer to go the organic route, Healthy Teeth and Gum Organic Mouthwash is your way to go if that sort of thing tickles your fancy. The Anti-Aging Company’s non-genetically modified natural mouthwash is 100% organic and doesn’t contain any of the following: alcohol, preservatives, salt, gluten, artificial coloring, flavoring, or sweeteners, among other things. What it does contain is aloe vera – the natural product that stimulates skin growth – and a mixture of essential oils and non-GMO xylitol. If you use it daily for about 30 seconds per time, it will decrease plague, prevent bad breath, help to stop gum bleeding and inflammation, and also reduce gum disease. 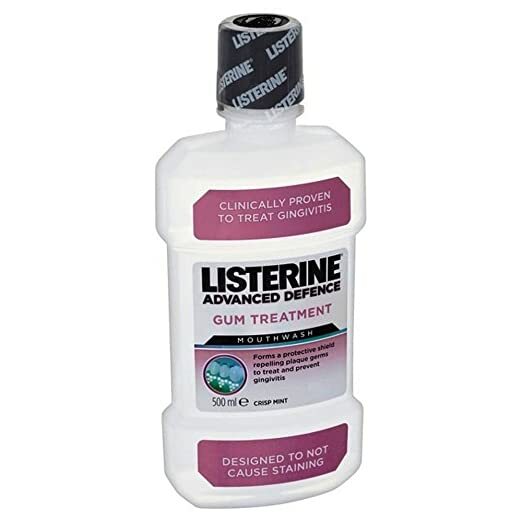 If you have been diagnosed with gingivitis, then Listerine Advanced Defence Gum Treatment for Gingivitis should be your go-to mouthwash as it has been clinically proven to be a good remedy. Studies have shown it does the job in just two weeks as it creates an invisible protective layer around the teeth that stops plague from attaching to tooth surfaces and helps to stop gum bleeding. It also means the gums have time to heal and become healthier. You have to rinse your mouth with it twice daily until your gums are healed, but if you are keen to make sure that the gingivitis doesn’t return, then you can continue to use it in the long run. The Listerine Advanced Defense is simply one of the best mouth wash for gums. If you use the OraMD – 100% Pure Mouthwash for Receding Gums daily as a liquid toothpaste, mouth rinse and breath freshener, then your gums are bound to get healthier pretty quickly. If you have receding gums and gum disease, then it is an ideal product as the anti-bacterial mouthwash kills the bacteria, and also fights plaque, tartar and cavities. You simply have to use OraMD as a mouthwash twice daily for the best results. 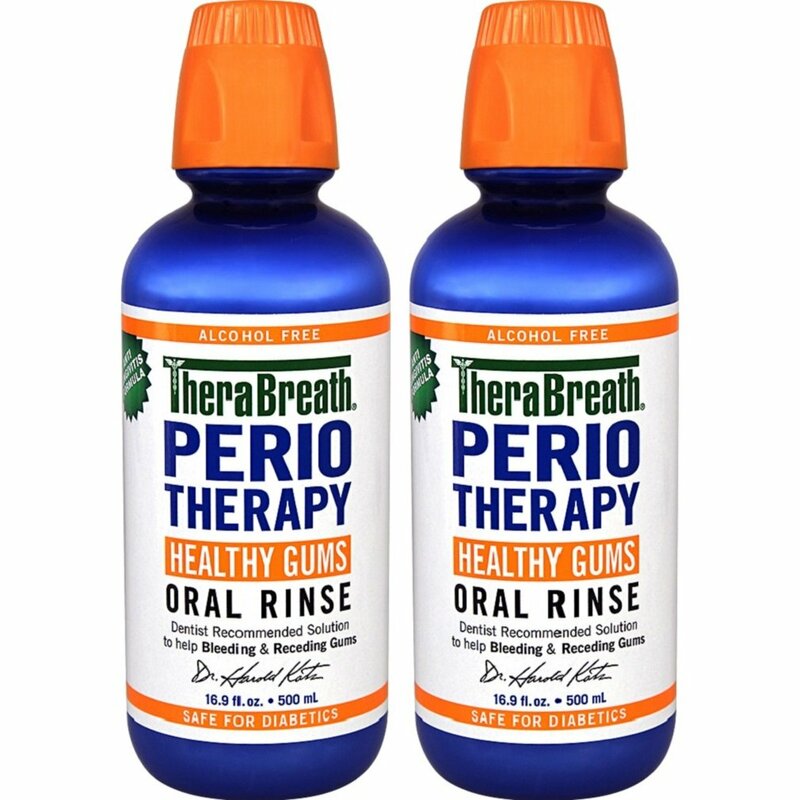 A special blend of herbal extracts found in the Natural Dentist Healthy Gums Antigingivitis Rinse Peppermint Twist helps to protect the teeth and gums against gingivitis. Several clinical studies have found it to be a pretty effective treatment for serious gum problems as it reduces and prevents gum bleeding, fights plague and also gives you a fresh minty breath. It contains no alcohol or artificial ingredients and you use it twice a day for 30 seconds. It is the world’s number one oxygenating gum care system for a reason as it contains ingredients that fights bacteria and kills the germs that causes bad breath. Its “unique blend” includes aloe vera, tea tree oil and xylitol with PeriO2 helping to heal damaged gum tissue as it provides healthy oxygen, while ZincRx fights the problem bacteria. You apply it to your teeth/gums once per day and let it sit for 10 minutes before rinsing your mouth, and voilà the healing process is under way. As you will have seen for yourself, there a lot of different mouthwashes out there to choose from. If you have gum disease,then you are likely to find a product to suit your specific needs, whether or you prefer organic products or just something that will do an effective job pretty quickly. But the most important thing is to not just buy the mouthwash and then forget about it. You need to use it daily, and not only until your gums have healed, but it has to be part of your daily routine.